Registered voters in Kay County who want to vote by mail absentee ballot in next Tuesday’s Municipal and School Elections have missed the application deadline, County Election Board Secretary Cheryl Howard said today. “They aren’t out of luck, however,” Howard said. 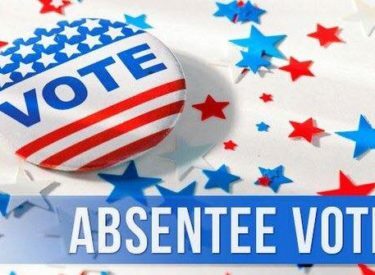 Voters who want to cast absentee ballots still can do so at the County Election Board office on Thursday, March 28, and Friday, March 29, from 8 a.m. to 6 p.m. A two-member, bipartisan Absentee Voting Board will be on duty each day to assist absentee voters. According to Howard, the Absentee Voting Board verifies a voter’s registration information, then issues the voter’s ballots. The voter marks the ballots in a voting booth and then puts them in the voting device. “It is very much like voting at a precinct polling place,” said Howard. Contact the County Election Board, located at 201 S. Main St. in the basement of Kay County Courthouse in Newkirk for more information. The telephone number is (580) 362-2130.